The name of a Federal House Administration Mortgage speaks for itself, it’s a government-backed home loan. Such kind of mortgages has rather flexible lending requirements, and may become a perfect option for your personal scenario. FHA Loans are rather popular nowadays and primarily among the first-time home buyers. FHA home loan requirements are less strict compared to the conventional loans and it makes this kind of mortgage more accessible for the people with less than perfect credit or little down payment. The potential home buyers can apply for FHA home loan even after bankruptcy or foreclosure. The lenders’ risk is reduced due to the fact the loans are insured by the government. Though it’s actually one of the easiest types of credit to qualify for, bear in mind that the borrowers may be offered higher interest rates for the FHA home loans due to bad credit. The customer will also have to pay mortgage insurance premiums every month and he should include these costs into his personal payment plans. The house purchased should be evaluated by the FHA –approved appraiser and meet the requirements, otherwise, the applicant will have to cover certain expenses connected with the repairs, remodeling or whatever of such a house. New FHA loans are offered only for houses which will be used as the primary residence. Don't waste your time. 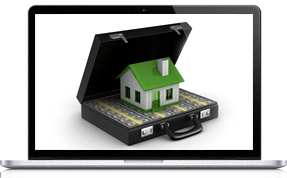 Get an FHA loan online. and be contacted by the lenders eager to provide a loan to you. Make sure you have enough for a down payment as a next step and chose the type of the mortgage insurance meeting your needs and financial situation. Have the property you are going to purchase appraised and apply for the loan you’ve chosen. Study the mortgage options you have and proceed to our online application to get the best fit for you personally. 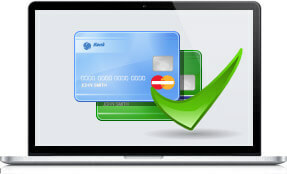 The operator of the present website is not a lender, loan provider, agent, representative or broker. The information submitted by the customers is not an application for mortgage financing; it is shared with the participating lenders, which make loan offers based on data received. Personal Money Service provides no guarantee that the customer will be connected with a mortgage lender, receive loan offer or enter into a loan agreement. Keep in mind that lenders may perform credit checks with credit reporting bureaus or obtain consumer reports through alternative providers. The policies and practices of Personal Money Service Company and its cooperating lenders comply with the federal regulations and states laws for lending within their borders. The service is void where prohibited. Personalmoneyservice.com may be linked to other websites not maintained by Personal Money Service and bears no responsibility for the content of those sites. The links to them do not imply approval of the information provided on those third party sites.